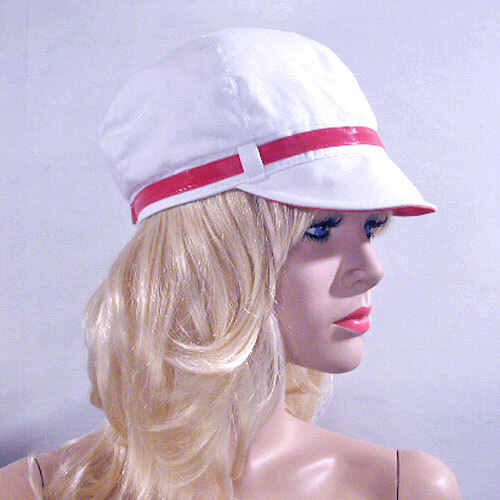 White Cap with Colored Bank White fabric cap with colored band and under visor. There is a strip of elastic to keetp it snug. Color: hot pink Hue: Code: #FF97AB. Measurements: width 7½", depth 10.